Shampooing after you condition . Sounds weird right ? Reverse washing is something that that everyone (well not everyone) has been embracing lately. I have been doing this for a week and my hair looks better than ever. A little insight of what my hair type is. My scalp is super oily whereas my strands are super dry . This technique has worked wonderfully . 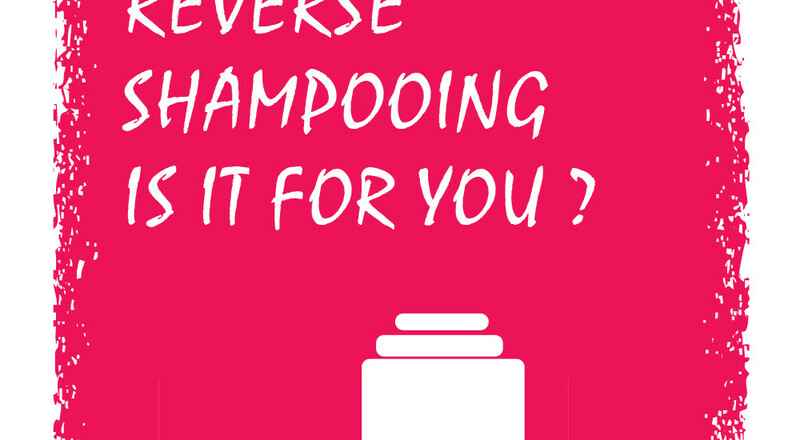 Shampooing at the end ensure that your hair doesn’t weigh down due to excess moisture. The technique is particularly effective for people with finer hair, since it leaves your hair shiny and voluminous. There are a few things that need to be kept in mind . Always make sure that your hair is completely wet before applying the conditioner . Not doing so will make it difficult for you to distribute the conditioner through out the hair . Never apply conditioner to your roots . After you apply your conditioner, leave it in for the regular amount of time that you would normally use. This step is crucial , NEVER RINSE off the conditioner . If you rinse your conditioner out and THEN apply shampoo, you’re very likely going to end up with dry, brittle, tangled hair. Use your shampoo to remove your conditioner. By doing this I find that my hair is a lot less tangled and a lot more bouncier than when I shampoo the traditional way.